Sometimes an idea grabs you, and it seems to be the perfect answer to something that you didn’t even know you were looking for. What is it that bowls you over and gives you one of those eureka moments? More often than not it is something that is so simple that you are kicking yourself that you weren’t the one to think of it. The swoosh, the first emoticon, the “keep calm” meme, and now the 434. Sure, I’m biased; I was asked to be part of the project by Broadie Thornton, the guy who conceived of the idea – which gives you chunks of flash fiction big enough to sink your teeth in, but small enough to consume in a single sitting. Broadie corralled eleven writers together who all fell for the wonderfully simple idea too. We all met initially through a writing site, and most of us have met in the flesh at readings and boutiques set up through that site, but even the guys who have only met online through Skype and such are all part of tight knit group of friends. 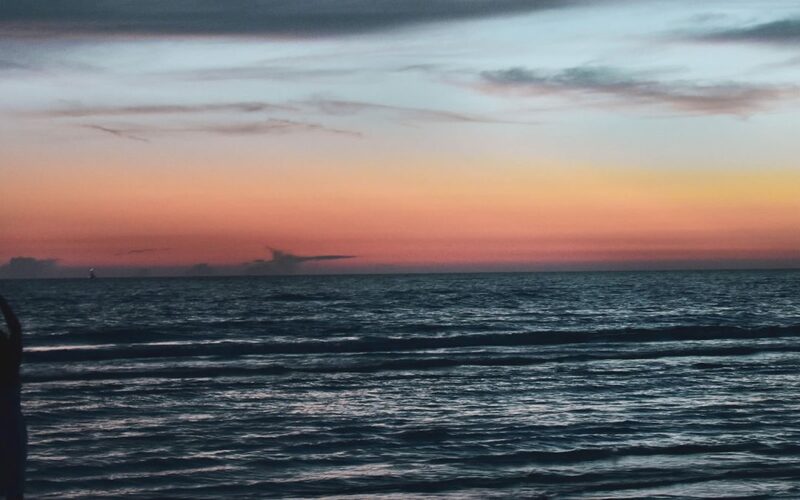 If Broadie is the heart of the project, then Jinxie is the engine that has kept the project rolling along to completion and its release on Earth Day, April 22nd. She has done an amazing job with the editing and design of the book – the most labor intensive aspect of the whole project. each of the writers brings their own palette and spin on the idea of what a 434 constitutes, and this is one of the things that makes it such an exciting project to be part of. Marketing-wise, one of the advantages for independent writers from such diverse backgrounds, unified by a single vision, is that each can bring their own respective audiences to the table, and their own respective spin to the story they tell about the project. It means that the promotion of the book has the potential to be as varied and interesting as the contents of the book. Anyone that isn’t operating on a traditional publishing platform, being backed by one of the big five publishing houses, has to be pretty damned good at self promotion anyway. You have to network; you have to know how to put together a book; to design a cover; to run a website; you have to single-hand a lot of it. Writing is only a small part of the whole circus you have to engage with in order to get your words out there in front of a reading public. With print-on-demand and one-click-publishing this has become easier, but you still have to put the hard graft in, and it is a long game that you are playing, one that anyone who is any way halfhearted is not going to win. You have to have a Twitter account, a Facebook account and page, a Tumblr, a Myspace Page, a Pinterest. You have to pay for ads – use word of mouth; use your connections. It is kind of like street-fighting … anything goes if it helps you to win. Well, not anything – but you get the point. Createspace and Lulu.com are only two print on demand companies that are raising standards and distancing themselves from the stigma of the vanity press. It isn’t a new thing – everyone from Walt Whitman, to Dostoevsky, to the Bloomsbury Group, printed and self published and put out samizdat copies of their works, and they went on to be literary greats. It is even more doable these days – you just have to identify the tools and learn how to use them. Creative people are pictured as being notoriously bad when it comes to marketing and advertising themselves, and the picture that usually gets painted is of an artist shackled to some medieval contract that extracts blood and a pound of flesh, while the company makes money hand over fist. The model is changing though, and if you aren’t availing yourselves of all the lessons that are out there at the end of a search engine search and from all those internet gurus, then you are going to remain little more than a hobbyist who has a way with words. 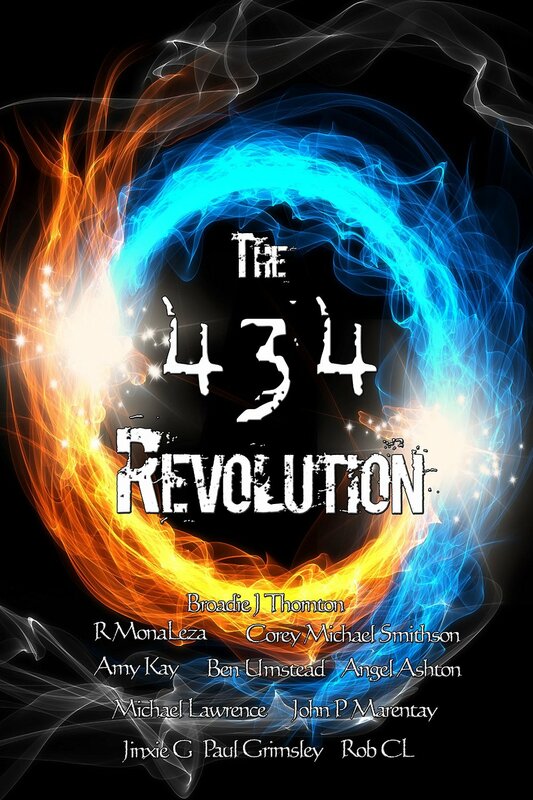 The 434 Revolution is going to engage its readers because it engages its writers – everyone involved has been very passionate, and it has been a lot of fun working together and brainstorming how to get this great idea out there. Earth Day, April 22nd is a day that you should put in your calendar – go and check out the book, you will enjoy it.